I regularly get asked about my skincare routine. Any products I put on Snapchat are probably the most srceenshot things I share, so I decided to write a post about my skincare routine. These are the 8 products that are working for me at the moment but they may not work for everyone, please bare that in mind before rushing out to purchase them all! 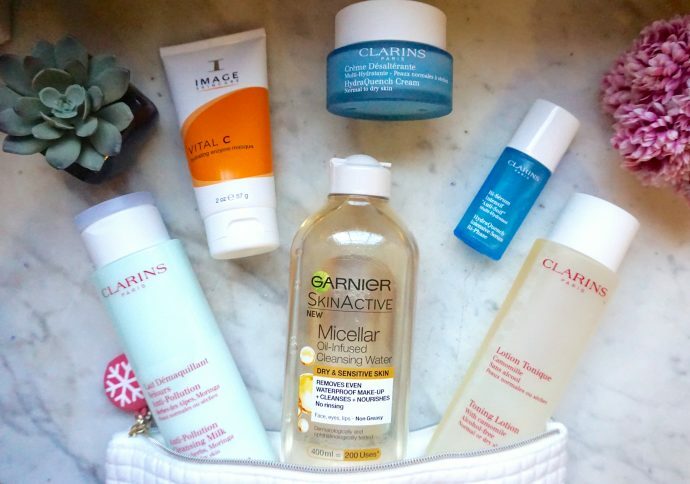 My skin type is combination; I vary between dry skin at times to oily patches at other times so this mixture of products are what’s helping me to combat my various ailments! From a really young age my mum instilled in me, the importance of a good skincare routine. The girls in college used to laugh at my “expensive” cleansers and moisturisers! It paid off though, I’d rarely get spots and the ones I did get were purely hormonal. I also suffer with quite red, pigmented skin on my cheeks; but over the years, using products for sensitive skin and with calming properties, I’ve found that this has improved. So, here are the products that I’m currently using and loving. I’m no expert so I’m not entirely sure exactly why they all work and what they do individually but I will share what I do know! 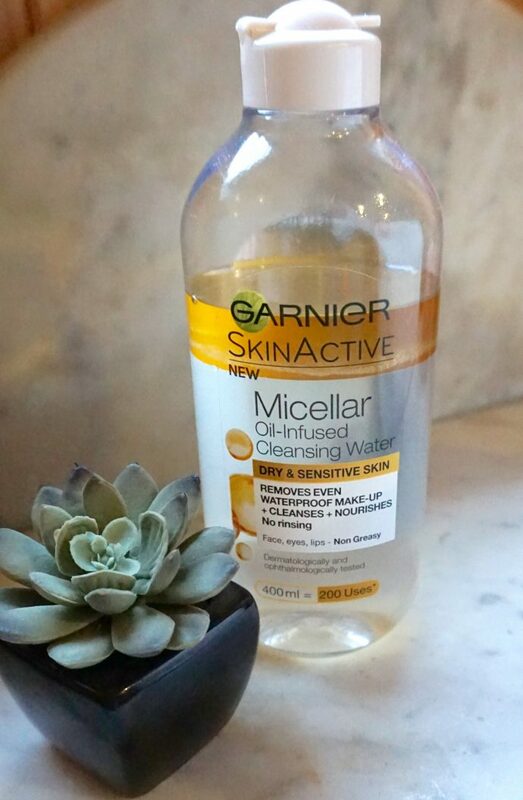 Intitially, I was using the regular Garnier micellar water but once I tried this oil-infused one, I found that it worked so much better for my skin. I use this as my first cleanse, it lifts make-up easily without needing to rub and so, doesn’t irritate my skin. I always double cleanse, particulalry when I’m wearing make-up; you’ll notice that residual make-up will still be coming off the skin even after your first cleanse – so it’s not clean! With ingredients like St. John’s Wart and Arnica, this cleanser is soothing but also helps to maintain moisture balance. I find this so calming for my skin. I’ve tried cleansers in the past where I could actually feel a tightning sensation as I’d be using them, but this one leaves my skin feeling so soft and refreshed. 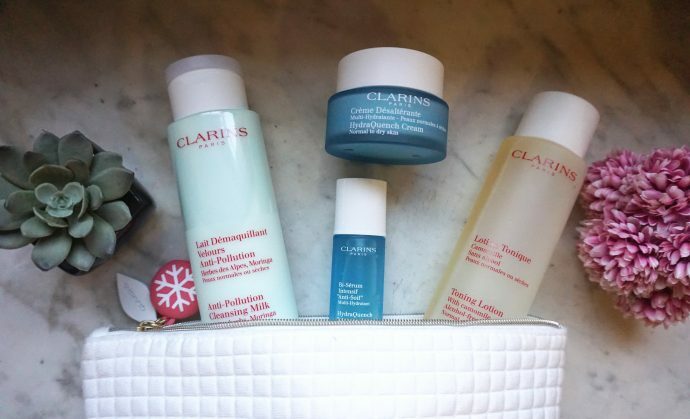 I’ve been using Clarins for about 3 years now and I honestly can’t fault any product that I’ve used. I know Toners aren’t for everybody but I really like how it removes the final traces of my cleanser and it’s like having a clean slate for applying my serum and moisturiser. This one is alcohol free which is really important – no stripping of the skin and ensures that pH and moisture levels are left alone! I have a confession, I’ve never actually bought a full-size of this serum because I always buy my Clarins products in a set that comes with free mini products. They last ages so I’ve only ever used the sample size but I absolutely love this product. Combined with the moisturiser, which I’ll talk about next, I find that my skin feels so hydrated and soft. A serum is like your secret weapon, it has concentrated amounts of ingredients that are more powerful than a mosituriser. Since I’ve started using this one I’ve noticed such an improvement in the texture of my skin too. I’ve been using this moisturiser for a few years now and I find it excellent. I also really like the Hydra Quench Rich Cream for very dry skin, when my skin needs it. This leaves my skin feeling hydrated and soft but without being too heavy. I use this during the day and at night. I do intend on starting to use a more intense night-cream in the near future though. 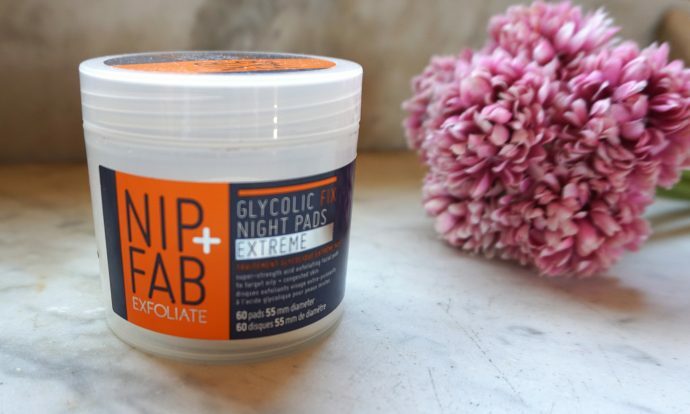 Now here’s the thing, when I first started using this I didn’t like it at all, despite leaving my skin feeling ridiculously soft and hydrated, I found that it caused me to break out. However, I cut back on how frequently I used it and how long I left it on for, it turns out that my skin just needed to adjust to it, due to the Retinyl Palmitate (Vitamin A). I reduced my time to 5 minutes, once a week, for about a month and then slowly built it up. The Vitamins A, C and E ensure that you’re actively reversing the signs of aging by stimulaitng collagen production and also lift the top layer of dead skin cells. 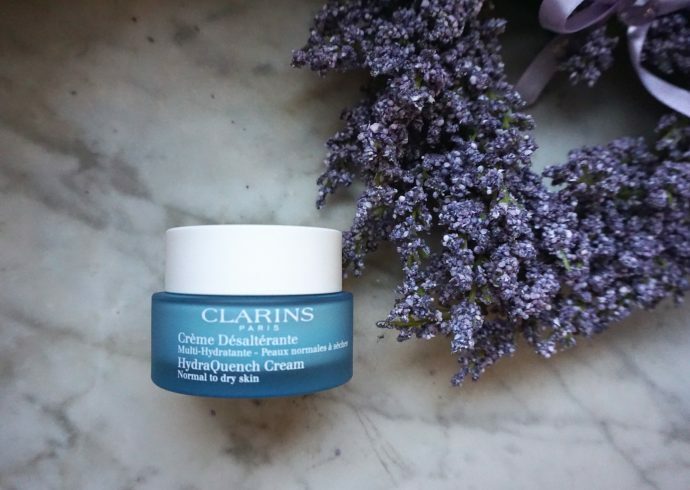 I now love using this before an event to get rid of any dead, dry or tired looking skin and it’s brilliant for the morning after too – it plumps the skin and makes it much more radient. These pads are one of the latest editions to my skincare routine – and I don’t know how I’ve lived without them. I use these when I feel a spot coming on and also on my upper arms where I suffer from Keratosis Pilaris (that bumpy “chicken skin” that many of us have). The combination of AHAs – glycolic and lactic acid, which exfoliate and refine the skin’s texture, and BHAs – salicylic acid, which penetrates the hair follicle and treats the area of congestion; means that I’m seeing fewer spots and a smoother surface to my skin since I started using them about 3 months ago. I often find that when I’m in work or driving with the air conditioning or heat on full blast, that my face can get quite tight. After listening to Jennifer Rock (aka The Skin Nerd) on Snapchat, I started to spray my face with a thermal water spray. 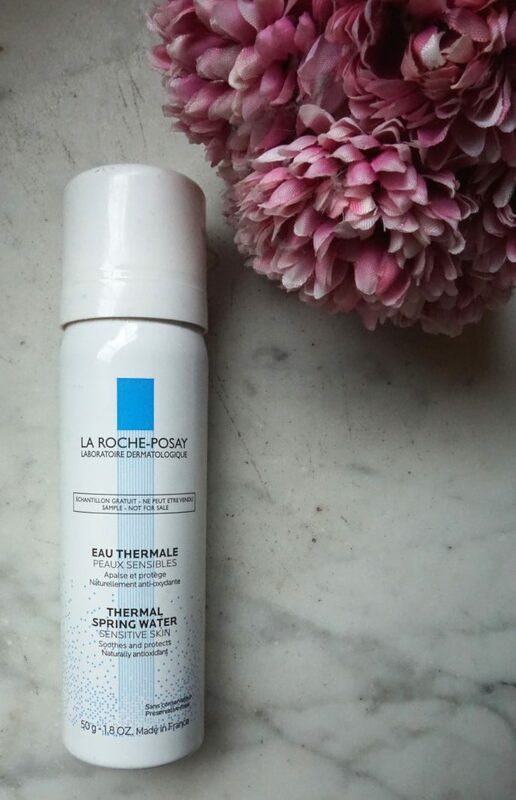 The one I’m using at the moment is La Roche-Posay, I use this throughout the day or if I’m exercising, I find it so refreshing. It’s also really handy to freshen up your make-up when it starts to feel oily or cakey half-way through the day or night! So, there you have it – as I said, I’m not an expert but these are the products that are working for me. 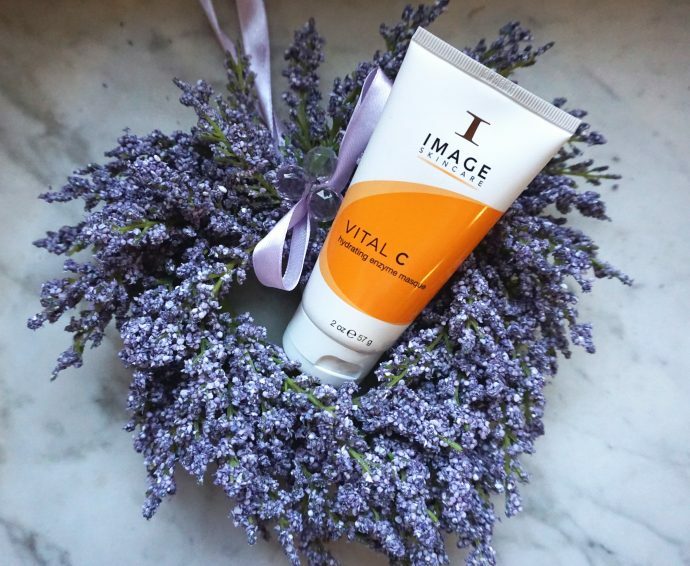 These products can be found in most pharmacies, except the Image Masque, which you will need to buy from a specialist in a salon – you can quickly find a local stockist if you search “Image stockists in Ireland”. I really hope you’ve learned something from this post, I’d love to hear if you try out any of the products I’ve mentioned and equally, if you have any other recommendations of products that you think I’d find helpful, please let me know below or on any of my social media.